Showing attorneys 1–20 out of 47 attorneys available for your search query. Hepworth Janis & Kluksdal, Chtd. The job description of a personal injury attorney in Boise, Idaho, includes investigating the case to calculate the damages, making a demand for a settlement, and initiating a personal injury lawsuit. 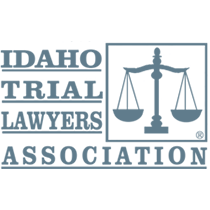 Civil trial lawyers often take cases on a contingency basis instead of requiring the injured person to pay the attorney fees to litigate the personal injury case in Boise, Idaho.